My boys have lately fallen in love with Oriental flavours, where Korean, Vietnamese and Chinese top their list because they have more spicier options of the lot. So, as soon as they see any Oriental recipe, they want it to be prepared at home, simply for the convenience of eating it at any time they want. We saw this recipe for Minced Beef Chow Mein in an episode of Better Homes and Gardens almost a year back and have fallen in love with the flavours with our first bite. 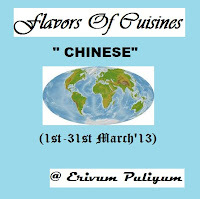 Chow Mein (originally pronounced chow meing) is a Chinese dish of stir fried noodles, of which there are many varieties. This version from the Better Homes and Gardens has been our favourite because it is loaded with crunchy vegetables together with minced beef which makes it a complete meal for lunch or dinner. The subtle flavour of sesame oil is essential to bring out the true flavours for this dish. Another plus for the dish - if you are a person controlling your calorie intake, enjoy the stir-fried beef and vegetable mix without or with very little noodles and you have just rewarded yourself with a scrumptious, tasty and nutritious meal. Disclaimer: I've mentioned a few substitutes here but this will considerably effect the taste of the final dish. 1. Place fresh Chow Mein in a bowl and cover with boiling water for 5 minutes. Separate noodles with a fork, drain and keep aside. 2. In a hot wok, over medium flame, brown minced beef with 1 tsp chinese five spice and cayenne pepper. Then add ginger, garlic, brown onion, green beans and salt and stir for 2 mins. Continue to cook, stirring occasionally until beans in cooked but still retains its crunch. Now increase heat to high and stir in wombok and green peas followed by sesame oil, oyster sauce and chilli sauce. When wombok has softened add bean shoots and spring onion and stir well. 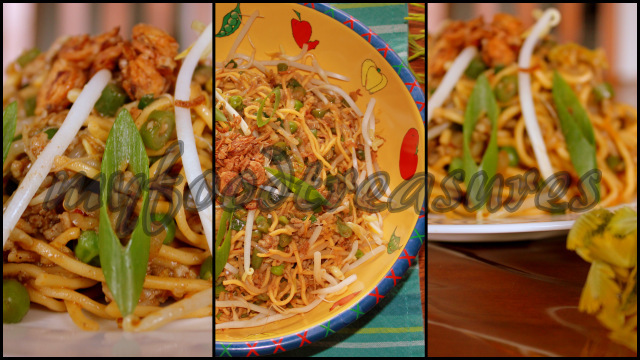 Then add chowmein and remaining chinese five spice and mix well. Add more of the sauces if required. Remove from fire. 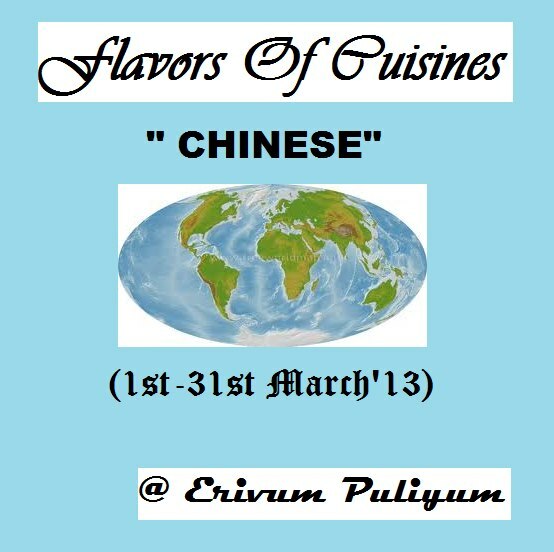 Sending this to Julie's Flavours of Cuisines Event: Chinese. Looks so irresistible, delicious & flavorful! thanx a lot for linking it to the event!! 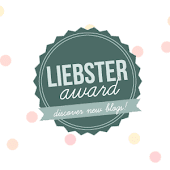 "brilliant blog! .I tried this Recepie, Its Awsome ... thanku!! !